Get outdoors at Manly Beach and The Opera House to the Botanic Gardens Walk. You'll find plenty of places to visit near Sydney: Katoomba (Wentworth Falls, The Three Sisters, & more), Gordon Falls Lookout (in Leura) and Blue Mountains National Park (Lincoln's Rock & The National Pass). Spend the 25th (Mon) exploring nature at Sydney Harbour National Park. Spend the 6th (Wed) exploring nature at Blue Mountains National Park Glenbrook. There's still lots to do: enjoy the sand and surf at Bondi Beach, get interesting insight from Tours, take in nature's colorful creations at Royal Botanic Garden Sydney, and stroll through Clovelly Beach. 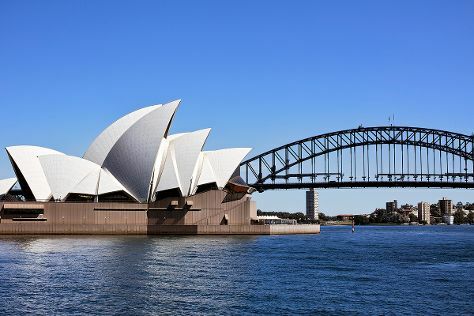 For reviews, traveler tips, maps, and other tourist information, read our Sydney day trip planning site . In February, plan for daily highs up to 31°C, and evening lows to 23°C. Cap off your sightseeing on the 6th (Wed) early enough to travel back home.